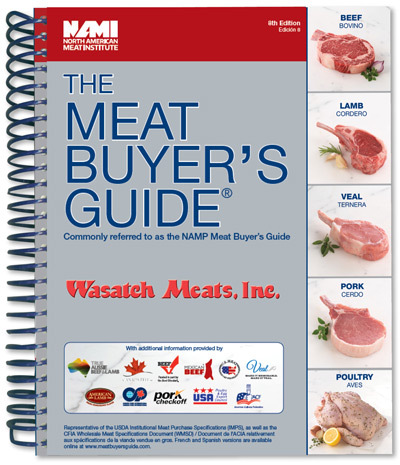 The Meat Buyers Guide 8th Edition can be customized for your organization. Simply supply us your logo, and we will produce a branded Meat Buyers Guide in less than two weeks! This is the perfect companion for your sales staff or gift for your client. Make certain your name is the one your customer sees when looking for meat and poultry. Quantities as small as 25 available. Call 800-932-0617 or e-mail sales@urnerbarry.com for more information.